The Four State QRP Group is pleased to announce the HI-Per-Mite, a high performance audio CW filter. This is a small, inexpensive, but high performance design. A link to the ordering and information page is on the Four State home page, http://www.4sqrp.com/ Hover over the picture or click the red "Shop Four States QRP Kits" button on the left. Paypal, cash, checks, or money orders are accepted. Designed by David Cripe NMØS, it features a 200 cycle bandwidth with NO RINGING! It can be used as an external stand-alone unit, and has an on board audio amp for driving a speaker or headphones. It also can be built into a receiver without using the audio amp, or with it if you need the audio stage. This is a very useful accessory for direct conversion receivers or any rig needing additional selectivity. It provides outstanding selectivity and comfortable listening while using earbuds, headphones, or a speaker. As always, all proceeds go toward funding OzarkCon. 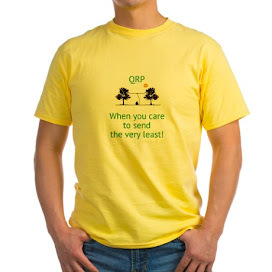 Thank you for supporting the Four State QRP Group. 'Twas as busy today as I thought it would be. I got the Jeep serviced as planned - that took a couple of hours. Then as mentioned, I went "canning" for the Knights of Columbus Council that I belong to. Every final weekend in April we collect for citizens with mental disabilities. Over the past few years, our Council has been able to donate about $10,000 each year to three local schools that assist these folks. So I stood in front of the local 7-11 in town from 11:00 AM to 2:00 PM for the cause. It was in the mid 50s and was quite breezy at times. I was dressed warmly; but that breeze, when it hits just right, can go right through you. The fact that I was under an overhang, in the shade and out of the direct sunlight didn't help matters. At times, I felt like a pitcher on Opening Day, blowing into my hands, trying to keep my fingers from going numb. When I turned the can (a large Folger's coffee can) in back at the Council, I didn't hang around to find out how much I collected. The can was almost full, though, so there HAD to be over $100. People continue to be generous, even with a dismal economy. On the way home, I picked up a sub sandwich for lunch, which I shared with my two kids. Then I had a momentous decision to make. Was I going to head back outdoors for QRPTTF? A bit tired and cold already- I have to say that I wussed out, guys! I stayed indoors and operated as a Home Station for about an hour before heading out to do the grocery shopping (A Ham's work is NEVER done!). In that hour, I worked 17 stations. One of them was a SOTA station. I didn't work any of the Florida QRP Stations, even though according to the QRPTTF rules, they would have counted. 20 Meters had the most activity; but the QSB was a roller coaster. A station that was 599 one second, disappeared the next second. You would wonder where he went to; only to hear him 599+ the next second! I worked a few stations on 40 Meters including my good bud, Bob W3BBO, and I managed to snag a couple of station on 15 Meters too. I sure hope everyone had a lot of fun. From the looks of it, Jim W1PID (on of my role models) sure had a lot of fun. Since the contest officially lasts until 11:00 PM EDT, I think I'll head back down to the shack to see if I can't pick out a few more to add to my total of 17. Maybe 20M will still be open long enough to pick up some West Coast stations. Thinking like a big fish! "When running QRP, is it necessary to ID as XXXX/QRP ? I like to keep things simple, want to do it right, though. Signing as /QRP complicates things because I would have to keep a separate logbook and open a separate LotW account so QSLs would verify. So, not IDing the /QRP is acceptable practice? Or what?" "Signing /QRP isn't really necessary -- the other guy already knows you are weak, no need to complicate things :-)"
I am going to assume that the smiley face emoticon at the end of the sentence indicates that the answerer's tongue was planted firmly in his cheek. I've gotten my share of 589 and 599 signal reports. Sometimes propagation is so that your signal is strong, even though it's low in power. I can't tell you how many times I have worked Todd N9NE (one of many, for example) in QRP Sprints and had his 5 Watt signal almost literally blow out my ear drums in NJ! But back to the original question - I hardly ever sign W2LJ/QRP; and in fact, rarely mention power in QSO, unless asked. 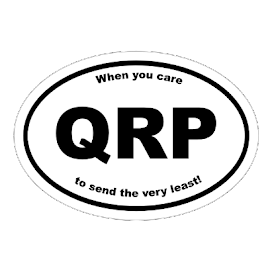 In my most humble opinion, one of the biggest hurdles to QRP success is the QRPer, him or herself. As a group, I think we need to just operate - don't think of yourself as a sardine - think of yourself as just another one of the scads of tuna out there. If you start putting limits on yourself, then other folks will be more than willing to join you in the process. As far as the world knows, I'm just another operator on the air - nothing more, nothing less. Informing the world that you're running QRP can, in certain instances, be detrimental. I have had several instances where I was engaged in a nice long, rag chew session, where the code was flowin' nice and easy. As soon as I mentioned I was running 5 Watts, I literally went from 599 to "Can't copy you, OM" - in the matter of mere seconds. Now, due to changing band conditions, I know this can happen even to a QRO station. But sometimes I wonder if it affects those out there who "KNOW" that a QRP signal just HAS to be weak"
Mind over matter, as it were - or even worse, that "Conventional Wisdom" thingy again!. Anyway, tomorrow is QRPTTF. Have a full day planned - have to take the Jeep for service in the AM and as soon as that's over, I have to go "canning" for the Knights of Columbus. This weekend is our annual fundraiser for Citizens with Special Needs. If I get a chance to get on the air. though, I know I will hear QRP signals all over the RST spectrum - from ESP level to 599 +++. It's just the way it is! I broke down and ordered an American Morse Equipment DCP Paddle kit. The XYL doesn't know it yet, but this will be her birthday gift to me. I figure this way I eliminate two birds with one stone - I get something I really want / need AND I eliminate the need for her to go out shopping. I'll let her know that when she sees a package from American Morse to just wrap it and hand it to me on the appropriate day. I chose the DCP for several reasons. 1) Price point - with shipping, we come in under $50. 3) Reputation - American Morse has a good reputation and deservedly so. They use the best materials. 4) Reviews - Favorable reviews on eHam. I know, reviews on eHam aren't always reliable; but they DO let you know when something out there is garbage. Now I have to figure out what I am going to get my wife. Her birthday is two days after mine - but I have a good idea of what she wants, so it should be fairly easy. For those of you who get irritated by Elecraft and/or KX3 related posts (and you know who you are! ), better skip this one on by. 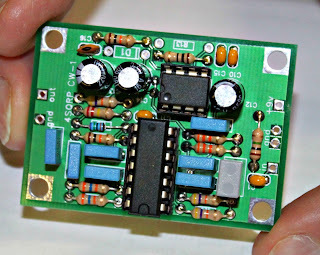 It was announced on the Elecraft KX3 e-mail reflector that kit shipments are still about two weeks out. So as of now, I'm hoping that I'll get "that" e-mail right around my birthday. I was hoping to have the radio built and ready to go for this weekend's QRPTTF. Looks like it will be the PFR3A and the Buddistick. On the bright side, QRPTTF will allow me to give the new lithium ion battery a workout this weekend. Since it will be used only under QRP circumstances, I am thinking it should hold up just fine - no huge draws of current should be necessary. I am also looking at very small. portable paddles. The foot print of the KX3 is so small and my new battery is small, too. I'd like to get a real small paddle and make my "portable pack" as super small and light as I can. I have a Whiterook MK-33 single paddle lever; and I also have a neat homebrew single paddle lever that a friend made for me. Both work extremely well; but I was looking at the American Morse DCP paddle, which is right in my budget. The American Morse Mini B paddle would be ideal - but is a bit pricey for me. What keys do you guys use for portable ops? Any good recommendations for under $75.00? Hey - no laughing! 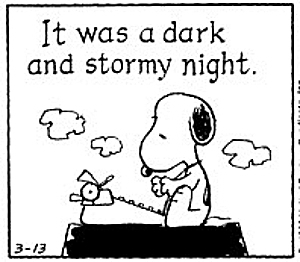 Brought to you, no ...... not by Snoopy! Brought to you by Don Keith N4KC, fellow blogger and Ham Radio wordsmith extraordinaire. Oh, to have the writing talent of Don N4KC or Jeff KE9V or Woody K3NG, fine writers one and all. I hope you enjoy the story, I did! As mentioned in one of my last posts, the lithium ion battery that I had acquired from eBay arrived. There was a "return receipt, signature confirmation" slip in the mail box and I went and picked it up from the Post Office this morning. Batteries sure are getting lighter and smaller! The battery to the left is the very first sealed lead acid battery that I've ever used for portable field operations. I've had this guy for about eight years now. It's a 7.2Ah battery, probably about 5 pounds (a tad more than 2 kilos)- about the weight of a bag of sugar (roughly). It came out of an emergency EXIT light that was in the building that I used to work at. I saved it from the dumpster and there was (and still is) absolutely nothing wrong with it. Only drawback for field operations is the weight. The middle battery is the one I've been using for about the last three years. It's rated at 5Ah and is roughly half the weight of the big battery (approx. 2.5 pounds or about 1 kilo). "Little Boy Blue" to the extreme right is the lithium ion battery. 9.8Ah and I would say, the same size as a pack of cigarettes. It weighs less than a pound (less than 1/2 a kilo). It came with a wall wart (not pictured) for charging, it has both male and female 3.5mm connectors for output; and it has a little switch on the left hand side with a tiny red LED indicator to let you know you have turned the battery "on". More capacity in a smaller, lighter package. How cool is that? W1PID - at it again! Jim W1PID proves that it doesn't have to be a long outdoor session in order to have success. I need to remember this. There are times when I am guilty of being lazy, I guess. I hesitate sometimes, to set up the station even with the fast mobile setup, because I convince myself that "there's not enough time". Jim proves that if you know what you are doing, that even 15 minutes can be enough. And that's a good habit to get into. In his case though (and I say this with my tongue firmly planted in my cheek) I have to admit the local scenery sure can make up for things even when the bands are dead. Who wouldn't want to spend time out in the New Hampshire countryside? The QSOs are the icing on the cake! As always, thanks for sharing, Jim. Another FB job, OM! No it's not what you might think. I did NOT get an e-mail from Elecraft telling me that my KX3 is on its way. But I did find a slip in the mail asking me to come to the Post Office to sign for a package. I checked out the tracking number and it's the Lithium Ion battery that I got via eBay. I know I have to be very careful charging it and all; but the smaller size and lighter weight will be a whole lot nicer than carrying around that sealed lead acid battery. There is also the provision for using the internal battery holders; but I always get the heebie jeebies about batteries leaking and making a mess. I don't use them in my PFR3A. I did have them in my K1; but ended up taking them out. When using internal batteries in the K1, you had to use a different speaker other than the original stock one. It was smaller to accommodate the space that the batteries took up and I didn't like the way that it sounded. My K2 is always used with an external source. Yes, it would be a lot more convenient to use the internal battery holders while out on a day hike; but the idea just doesn't sit right with me. Silly, I know; but what can I say? I have repaired too many circuit boards in my day where the copper traces were eaten away from leaky electrolytic caps. My brain knows the likelihood of that happening inside a KX3 are probably close to nil; but I still feel that I don't need to tempt fate. So for in home shack use, I rely on my Astron RS-35 power supply. Yes, I know that a 35 Amp power supply is way overkill for QRP. But it's a fantastic analog power supply and I've had it for years. I've even repaired it myself a couple of times. I like to think of it as an old car with a carburetor that I can service myself, if need be. Way easier than dealing with a switching power supply. I had my fill repairing those back in the days when I was in the photo industry. The Broncolor studio strobes that I used to repair had switching power supplies. They were good; but did they ever generate RFI! I suppose that switching power supplies are a lot better than they used to be; but I know for a fact that my Astron generates no RFI at all - period. As long as it delivers stable DC Voltage, it will be at the bottom of my bench. 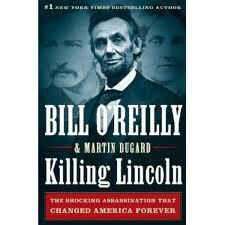 I am currently finishing reading Bill O'Reilly's "Killing Lincoln: The Shocking Assassination that Changed America Forever". It is an extremely fast reading book. I started it Monday, while visiting my Mom, who has been in the hospital this week (hence the pandemonium). I should be finishing it very soon. I wouldn't consider it to be the definitive book on the subject, but it is definitely interesting. I would heartily recommend it. Having it on the Kindle makes it that much easier to carry along. I know this topic isn't radio related in any way; but the authors do mention that Mr. Lincoln was addicted to the Internet of his day - the telegraph. He spent much time bothering the Signal Corp for as much "from the front' war news as he was able to get. I'm willing to bet that were he alive today, President Lincoln would have been an Internet and cable news junkie - and who knows, maybe a Ham, too? I don't like to "steal" from my fellow bloggers; but I caught this on John N8ZYA's blog. It is worth sharing with those of you who might not read his blog (You're cheating yourself if you don't! Just saying!) This "independent movie" is about 45 minutes long. It's worth viewing to get an idea on how wireless was situated on seafaring vessels. Now for the error as described in the post title. I didn't work any of the Titanic Special Event stations due to some pandemonium that has been enveloping me over the past few days. With this Saturday being a full week past the anniversary day, I doubt any of them remain on the air. Oh well, centennial observances, like the tides, wait for no man. While QRPTTF is open to all QRPers, I have always seen it as a "QRP-L" function. This is where it is administered and the QRPers on this list are those I attempt to satisfy and respond to. Response to having additional SOTA stations on the air for QRPTTF has generally been positive. However, I underestimated the desire of QRPers to go climb their nearby mountain or feature, whether a SOTA summit or not. A few want to make a camping trip out of it. SOTA began and is headquartered in the UK. There are numerous US chapters. Not all states/call districts have a SOTA chapter, mostly due to no or few summits to survey or activate over 500 feet high. SOTA guidelines state that the minimum "prominence" for a summit is 100M or 300 feet. Sounds good enough for me. Therefore, we will also use this definition. I have received several emails from those wanting to operate from the largest darn "mountain" in their corner of the state, though not a SOTA summit, which in most cases will require a substantial effort. This rule change will allow you to do this and receive a X3 multiplier for the additional effort. In turn, operating from a designated SOTA summit is now X4. PS - Driving out to the VLA site today (54 miles from Socorro), it made me appreciate how we have to drive through or around three different mountain ranges, with numerous peaks from 9,000-12,000 feet. I always took them for granted. Not anymore. Average terrain here is about 4,700 feet, the VLA is at 7,000 feet. This year, we are teaming up with the Summits on the Air stations - or SOTA. SOTA stations will be operating from designated summits to participate in QRPTTF. SOTA stations are QRP - some QRPp, and operate on the usual QRP watering holes. This joint effort was designed to give us all more stations to work (since the sun isn't helping us out much ... solar flux for QRPTTF predicted to be 100). Since we're talking mountains and summits, this year's theme is "Get high with QRP" ... basically, operate from any old nearby hill or as high as you want to go. SOTA stations will send the exchange, plus a SOTA designator they use for identifying the summit (this gives them credit for their awards as well). Many hike to the summits with a minimalist station, often QRPp, so may be a bit weak. Whether you work TTF or SOTA stations, they all go in the log for credit. However, you also get an extra multiplier for each SOTA station worked to reward you for your effort to boost your score. 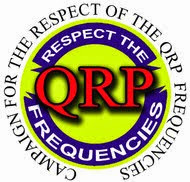 There are also several SOTA members on QRP-L that will be participating in QRPTTF. If you have any questions regarding SOTA, or if you feel so inclined to operate a SOTA location, ask here and they will answer your questions. None of us want to haul our gear to the field then struggle to find stations to work. Past few years, we have plenty of experience with that! This will give us more stations to work for more QSOs, higher scores, and of course, more fun. Thanks, Paul - remember folks, QRPTTF is Saturday, April 28th. I must lead a sheltered life! A topic being discussed on the CWOps e-mail reflector is about two letters to the editor in the May issue of QST. I won't re-print them here. If you get QST, they are to be found on page 24 and the header is "Proud to be a No-Code Extra". These are in response to another letter to the editor in the April edition of QST bemoaning the fact that the Extra license "is not what it used to be" now that the code requirement is gone (in essence - not the exact words). The authors of the May letters are steamed by the concept that they are some how inferior because they did not pass the 20 WPM Morse Code test that used to be required to earn Amateur Extra. I guess they have a point; but as usual - both sides of the arguement have their merit. Perhaps what we need to do is just get over with labeling everything! It seems all human beings (not just Hams) love to do that - label, compartmentalize, file and designate. The problem is, as human beings, we rarely fit neatly into any one compartment. Black, white, Asian, Hispanic, liberal, conservative, Republican, Democrat, gay, straight, Extra, General, Technician, and on an on and on and on until it makes your head swim. And don't let's get started on the nationalities or religions - too many to begin even thinking about listing here for the purposes of this discussion. I think one of the worse trends that has ever happened in the last few years is all this "celebration of diversity". Seriously. We have come to the point where we concentrate too much on what makes us different instead of how so many of us are so much the same. Don't get me wrong, I don't meant that we should ignore our differences - we should not all become just some amorphous, giant blob of humanity. We should be proud of our races, nationalities, creeds - but not to the point where they become exclusionary. We need to look at each other, as well ....... people. Whether you're white, black, brown, red, yellow, or purple - whether you're a man or woman, whether you're Polish, Italian, Kenyan, Afghanistani or whatever - we all have the same needs and dreams. We want roofs over our heads, food on our tables, and we want our kids to have a better life than we've had. We want to be loved. Once we realize that despite our apparent differences, that we're all basically the same - maybe then we'll truly have peace some day. Pie in the sky? Maybe. Sorry - I didn't mean to get all "Kumbaya" on you; but some times I get really tired of what are basically, silly arguments that in the end, don't amount to a hill of beans. CQ - April 2012 - QRP Special ! I got my April copy of CQ and it's no April Fool's joke - the issue is dedicated to QRP! How cool is that? Learning Curve - A QRP Primer by Rich Arland K7SZ (who I had the honor of working this past weekend in the QRP ARCI Spring QSO Party). Yes, we always have great QRP publications at our fingertips like QRP Quarterly and Sprat; but it's nice when the "mainstream" publications feature QRP. You never know, maybe we'll soon meet some new friends who will be joining us after being introduced to QRP by the April edition of CQ. Thanks to Rich Moseson and all the fine editors at CQ. And a special thanks to Cam and Joe, who keep the fine articles coming all year 'round! So what does a KX3 look like on the inside? Thanks to K7TRY, now we know! Hopefully, I will be seeing this for myself in just a few short weeks! Hope you will be able to participate in our annual Georgia QSO Party on Apri1 14 and 15. All information can be found on the GQP Home Page at http://georgiaqsoparty.org. It runs 10 hours on Sat (1800Z to 0359Z Sunday) and 10 hours on Sunday (14Z to 2359Z) on 160 to 6 meters CW/Digital and SSB. Georgia with 159 counties has more counties than any other US state other than TX and the small size of most of them means that the mobiles and rovers are frequently changing counties. Suggested frequencies are 1815 and 45 kHz up on CW and on 1865, 3810, 7190, 14250, 21300, and 28450 SSB. Also 50095 and 50135 on 6M. Digital would be near traditional digital calling frequencies. Multipliers for Mixed Mode stations are counted per mode (not per band). Band conditions have been pretty good recently, including 20M often being open at night and 15 and 10 providing a lot of QSOs during the daylight hours. Rapidly moving mobiles have been a hallmark of the GQP, particularly on CW. Please join in the fun for as much time and you can and send in your log. Awards are available for high power, low power, and QRP entries from the various states, provinces, countries and GA counties. Thanks for your support and for passing this information on to others who might be interested. I should be QRV from many GA counties as W4AN/M. So folks, if you have some time this weekend, let's support our fellow Hams from the great state of Georgia. 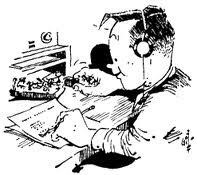 There should be lots of activity - build up your logs and perhaps even be the QRP winner from your state! As I thought, I did not have any real time to devote to this contest, this being Easter weekend. In about an hour and a half total operating time, I made 18 QSOs - the best DX being EA2LU, Jorge in Spain. One QSO was made on 40 Meters, and the rest were made on 20 and 15 Meters. 15 Meters was the pleasant surprise. There was a decent amount of activity there and the signals were nice. QSB was a fast and furious beast to deal with, though. If it were any other weekend, I probably would have been able to devote more time. But it is what it is. 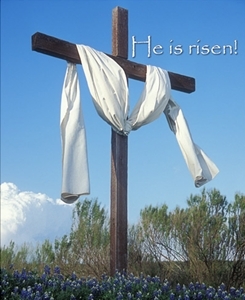 He is truly risen - Alleluia! Live in your heart today; and forever! from e-Bay, after being inspired by Jim W1PID. A 12V 9800 mAh Lithium Ion battery to have for the KX3. It's smaller and lighter than the 12V Sealed Lead Acid battery I am currently using. It will be coming from overseas. So now it's a race - which will arrive first the KX3 or the battery - the chicken or the egg? After a couple of private e-mail inquiries, I've decided to address this here. To be honest with you all, the fate of FOBB 2012 is unclear at best. I sent an e-mail off to Rich Fisher KI6SN asking if he wanted me to manage it again this year. So far, I have received no response. Also the ARS Wiki and the pages containing last years' results and those of prior years seem to have vanished. Maybe Rich has decided to do something different with FOBB for 2012 - not sure what is going on. If I hear anything, you all will be the first to know. according to today's "Red & Rover" comic strip - the Sun affects more than just Hams! Saliva glands are working overtime! PS: Wow! No spam comments today. 1st time in about a month that has happened. 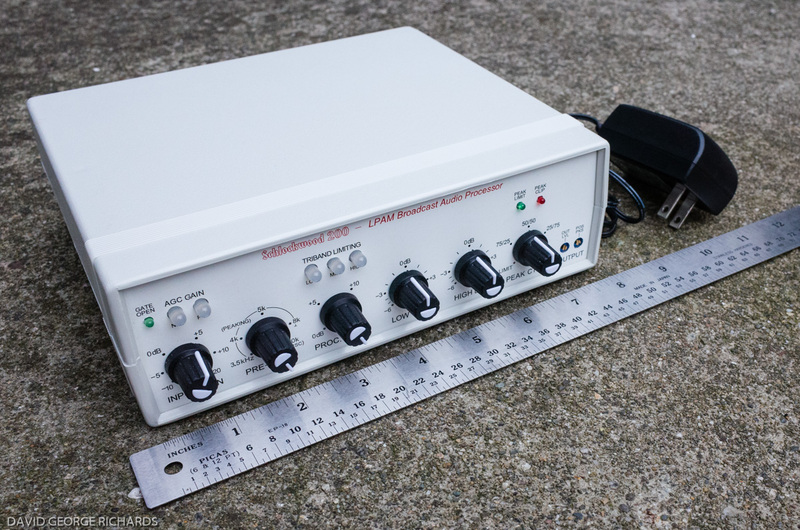 Doug Hendricks KI6DS has announced that Hendricks QRP Kits will have a new offering at Dayton this year - The Weber Tribander. 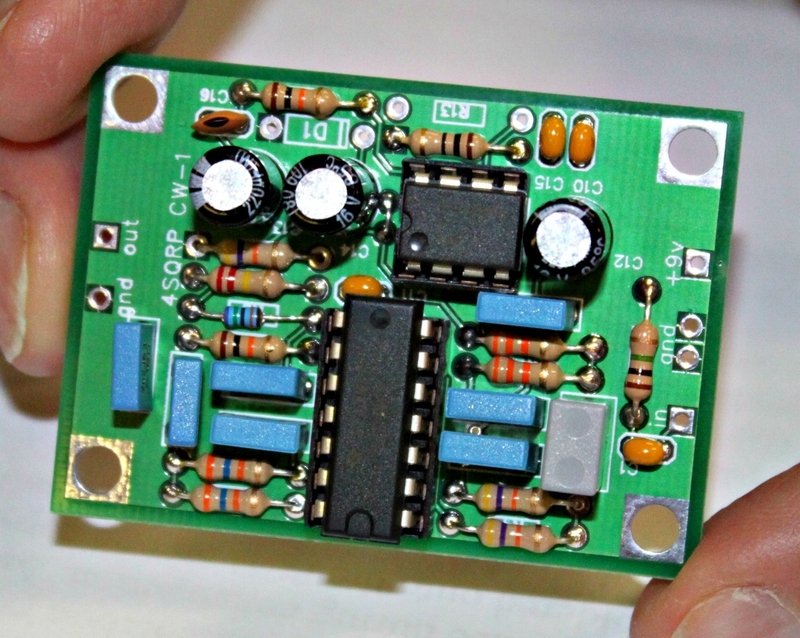 "Hendricks QRP Kits will be introducing a new CW Transceiver at Dayton this year. Steve will be in our booth, which will be at a new location: Booth Numbers 459 and 460 which is right next to the TAPR booth, and right across the aisle from the ARRL. You will want to stop by and say hello to Steve and take a look at the new kit."
? Any three ham bands, 80, 40, 30, 20, 17 or 15 meters, choose at time of order.
? Easy to read four digit LED display with leading zero suppression.
? Small size, 6" wide, 1.5" tall and 4" deep.
? Light weight, 12 ounces. Does that sound like a great radio? We think it does, and when you see the price, you will agree. The Weber Tribander will be introduced at Dayton, and the radio will include a Ken Locasale, WA4MNT, designed case of brushed aluminum that is pre-punched, drilled, includes a bail and ready to paint. And because it has a brushed aluminum finish, you can even leave it unpainted if you wish. The kit will include every thing you need to build it, and the SMT parts have been pre-installed, so you don't have to worry about it. This is a through hole kit for the builder, and if you have previous building experience, know how to solder and identify parts, will be a straight forward build. Where else can you buy a 3 band CW Transceiver with RIT, Digital Display, Encoder Tuning, Case with bail, and everything needed to build it for $200? That is about $67 per band!! And, you get to pick the bands you want. In fact, you can buy 2 of them and have the equivalent of a 6 band radio for $400!! We will have kits at Dayton, and this year we will be taking credit cards, including Visa, Master Charge, Discover and American Express. I am in the process of kitting right now, and will be getting the boards in 3 weeks. All of the parts are in, and the prototypes have passed all the tests. Steve built the final one Saturday, and everything works fine. Steve is coming to Dayton this year for the introduction of the rig, and we will be posting the manual in a couple of weeks at www.qrpkits.com so that you can take a look at his latest design. Don't forget that our booth has moved from the North Hall to the Ball Arena, which is where the ARRL booth is. We will be in Ball Arena 459 and 460. Stop by, say hello to Steve, Ken, Karen, Dean, Darrel and me. 72, Doug KI6DS"
As always - standard disclaimer that W2LJ has no financial interest in this - just trying to get the news out. "The FCC has released a Public Notice soliciting input for the Congressional directed study of Amateur Radio Emergency Communications and Impediments to the amateur's ability to provide those communications. This is the ARRL-proposed study which we have been seeking for the last 3 years...."
If you have participated in an EmComm event or deployment since January 1, 2000, we ask you to provide specific information on the activation by completing this form by clicking here. If you are affected the deed restrictions, HOAs, or CC&Rs, please complete this form by clicking here. TIME IS OF THE ESSENCE! Congress directed that the FCC provide the report back within 180-days and that clock is already counting. The FCC is only accepting comments for a 45-day period, which will end May 17,2012. In order for the ARRL to collate your information in a common report, we ask that you send in your information no later than WEDNESDAY APRIL 25. I know a lot of you out there are involved in Public Service activities and communications, so please, if you have something to contribute, please do so! No e-mail from Elecraft today. My brain knows that it will be a week or two before kits start rolling out the door. My heart , however, tells me, "Go home NOW! Check your e-mail NOW! Now, now , now, NOW!" This is going to be a long couple of weeks. Honestly, I can't remember being this anxious about a package since being a kid around Christmas time. And the closer it gets, the harder it gets. I didn't even really think much about this a couple of weeks ago - now my brain in zoning in on it way more often. 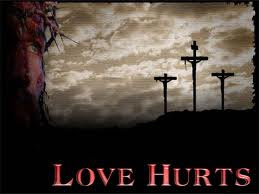 PS: To all my Christian friends out there, wishes for a blessed Holy Week! Too bad they consider this an April Fool's joke! But even in a joke there's truth to be found. "It's a dot and a dash. To have a conversation with the entire world. It's great."